Home Topics of Interest Chillax Best Rejuvenating Spas in Bangalore: Treat Yourself! The body needs to be pampered, isn’t it? What better way than treating it with aroma oils and ancient therapies? Presenting you some of the best spas in Bangalore that can rejuvenate your cells, calm your mind, and relax your body. 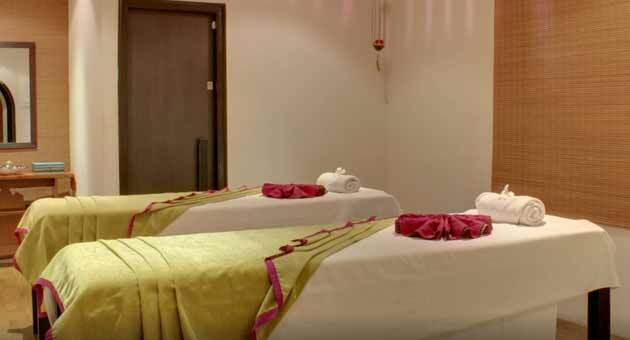 10 Spas in Bangalore to Chillax at! Think of a rich experience and Angsana Spa will be above your expectations. It is a part of Angsana Oasis Spa and Resort which is located in Doddabalpur, Bengaluru. There are altogether 23 treatment rooms which are spacious and well-maintained. They aim not only at de-stressing the muscles but, also takes care of face massages, hand & foot paraffin session, Hot Stone body massages, and conditioning. The Angsana treatments begin with a 30-minute complimentary relaxation time. Wellness therapies such as self-healing therapies, yoga, and meditation are also undertaken. Opt for a power-packed body massage in Bangalore for a Better You! Angsana Spa is located in UB City. 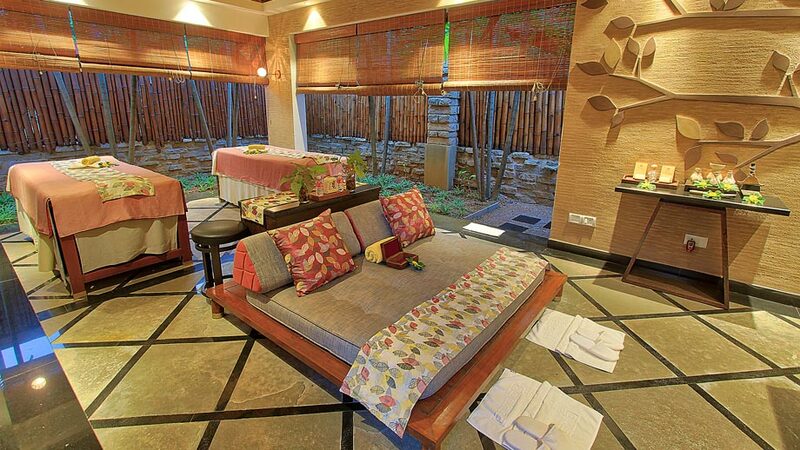 Angsana also has a spa and resort facility in Doddabalpur. Located throughout the city of Bangalore at 15 diverse locations, O2 Spa even has an application through which you can instantly book your appointment and reap 15% discount on their services. O2 offers body African Cocoa Butter Moisturizing scrub, Australian Tea Tree Exfoliating, and Whitening wraps, along with Balinese, Thai, and Western-style massages. Looking for the best massages in Bangalore at affordable prices? Visit O2 Spa and book their value-for-money day packages! They likewise offer spa packages exclusively meant for men. O2 Spa is located in several points across Bangalore including the airport. Being a part of the Taj Group, Jiva Spas in Bangalore offer highly reliable services to keep the guests glued to their services. The Indian treatment with contemporary therapies is the USP of Jiva spa. They have services ranging from aromatherapies to body scrubs, body wraps, and the signature treatments. The professionals here have a profound level of comprehension about Ayurveda and old Indian medications. There are additionally yoga and meditation therapies to help the individuals’ recover soon. 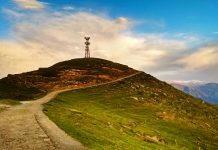 Opt for tailor-made packages for a better discount! Jiva Spa is located at several Taj properties across Bangalore including the one at the airport. The spa at The Ritz in Bangalore has 12 dedicated treatment rooms and a VIP spa suite. From fascinating marine green growth to tea tree and thyme and body scrubs made out of ocean salt, grapefruit and cypress, the detoxes, body massages, body cleaning, and even rich facials will leave you spellbound! Book your spa session at Ritz Carlton for a relaxing weekend! The Ritz Carlton in Bangalore is located on Residency Road, Ashok Nagar. With an enchanting Edwardian patio, a remodelled home, and mansion style wooden entryways, The Palms spa centre in Bangalore gives you a feel like landing at a tropical island home in South Asia. The friendly staff will brief you about different types of body massages, body shines and facials. Pick from their impressive range of body massages and you are sure never to regret! Try their Signature Deep Tissue Sports Massage! The Palms Spa in Bangalore is located in Benson Town. It is a sumptuous spa that will give you a vibe of being in paradise. Jean-Claude Biguine‘s peeling body wraps and body massages offer Sea Holistic Spa Ritual, which makes use of marine salt precious stones and lavender blossoms to give a reviving scrub to your body. Looking for one of the best spas in Indiranagar? Book an appointment at Jean Claude! 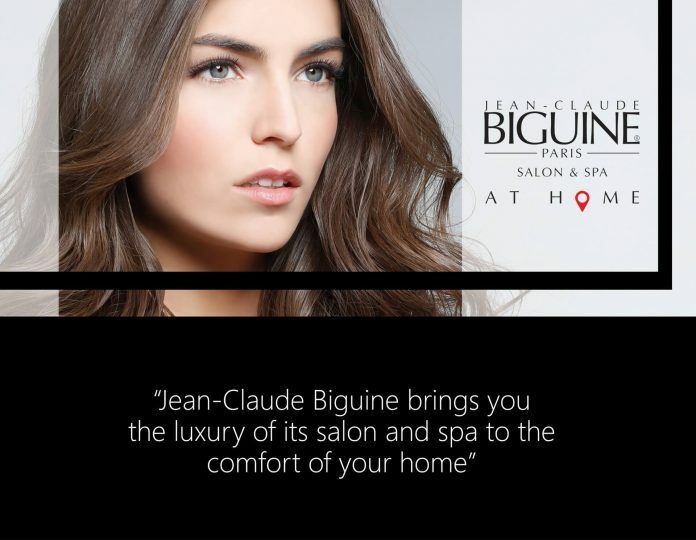 Jean-Claude Biguine spas are also located in Koramangala, Whitefield and Lavelle Road. The Sohum spa in Bangalore offers 8 treatment rooms which are very stylish and are set as per the spa’s theme. One can see the mythological prints in the room. They offer therapies from Ayurveda to Indian, Oriental and European to the guests. The Abhyanga and Shirodhara are a must try out at Sohum Spa. The herbal oils are used to cleanse the body and increase the blood circulation. Do not forget to opt for ceiling mural which is said to unite the body and soul. Sohum Spa is located in 3 different location in Bangalore. From the Zen music in the background to dim-lights, simply lounging around on the couches here is enough to calm your mind. Chi, the Spa is a venture of the Shangri-La Hotel. Expect authentic treatment and usage of natural products instead of only a brisk feeling of revival. 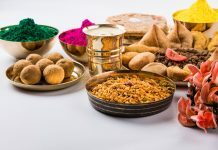 They likewise have Ayurvedic treatments, for example, Udwartana, Shirodhara, Abhyanga, and Pinda Sweda which centres around relaxation. Chi, the Spa by Shangri-La in Bangalore is located in Vasanth Nagar. Also read: Treat yourself with these traditional Kerala Ayurvedic massages. Looking for a luxury spa in the garden city of Bangalore? Book your services at Le Tranquille, the most trusted by the localities. Go for their Jet Lag Treatment to experience tranquillity like never before! 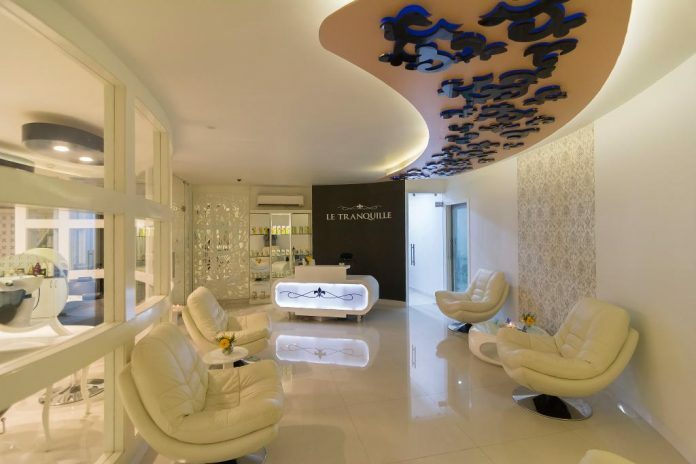 Le Tranquille Spa in Bangalore is located in Sadashiva Nagar. It is a luxurious spa that will give you a feel of being in heaven. They use the ancient as well as modern techniques to serve the customers to the best. The black granite and wooden door with brass embellishments will give you a feeling of being at a blissful place. Along with the body massages, pick their beauty packages as well. Wanna try their locally sourced caffeine to remove the impurities from the skin? Try their 2.5 hours Beauty & Balance package! Alila Spa in Bangalore is located in Siddapura, Whitefield. The above-mentioned spas are some of the best spas in Bangalore that are sure to bring you a rich ordeal. Book your appointment well ahead of time and enjoy the serene ambience along with the best body massages and healing therapies! Remember, you need to treat yourself sometimes! Have been to any of these spas earlier? Do share your experience with us!